Rosie and Jewel are absolutely fanatical over Disney's Frozen right now. In light of that I have been having a lot of fun bringing the movie to life through fun activities. 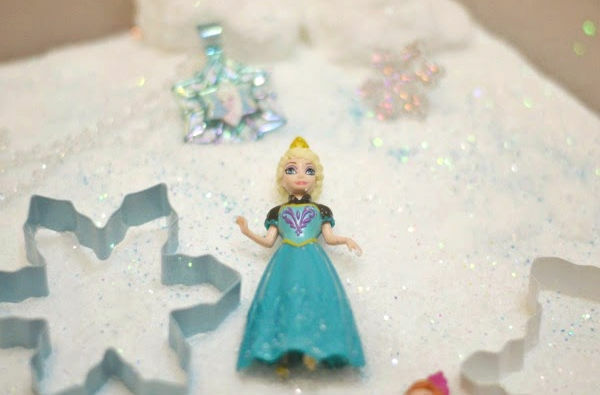 The girls loved this frozen snow sand, and you will not believe how easy it is to make! This icy-cold sand looks just like tiny snow crystals. 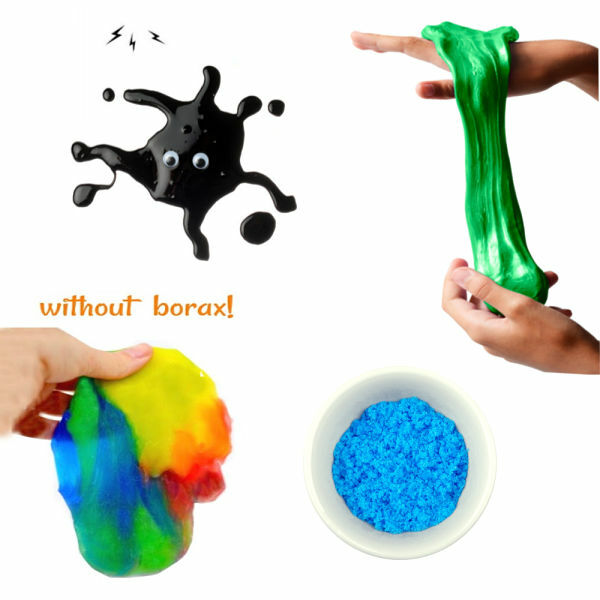 It feels like silk between tiny fingers, and it is so much fun to muck around in that you really must try it! 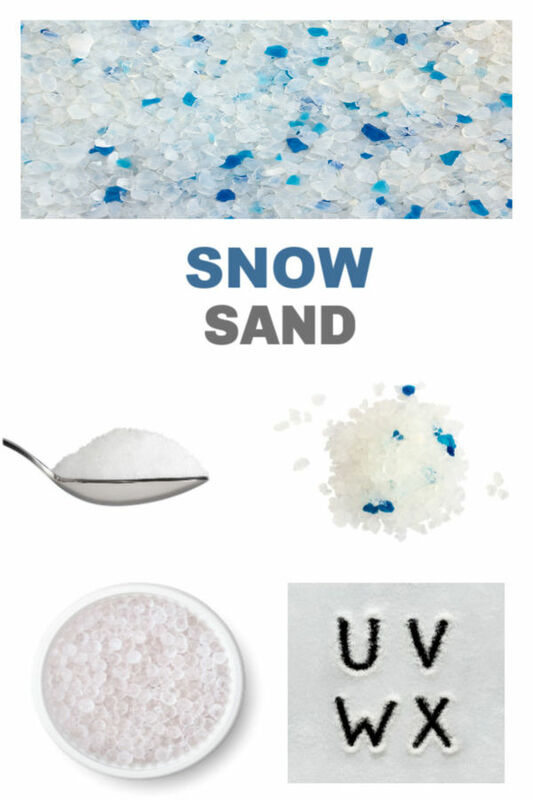 Are you ready to make snow sand? Talk about an easy play time! 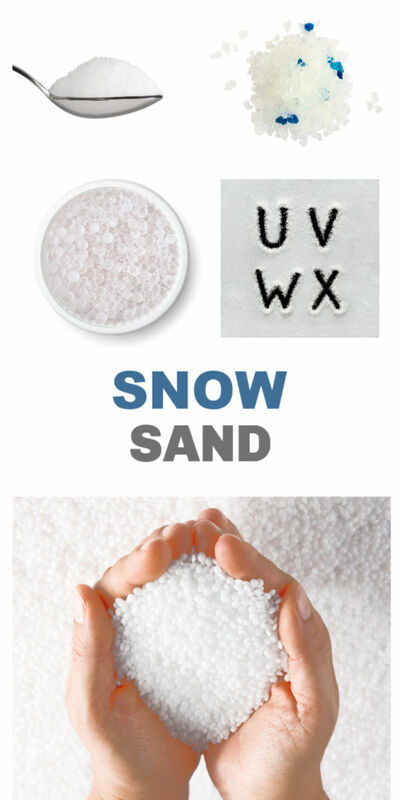 All you have to do to make snow sand is place a bag of Epsom salt in the freezer overnight. 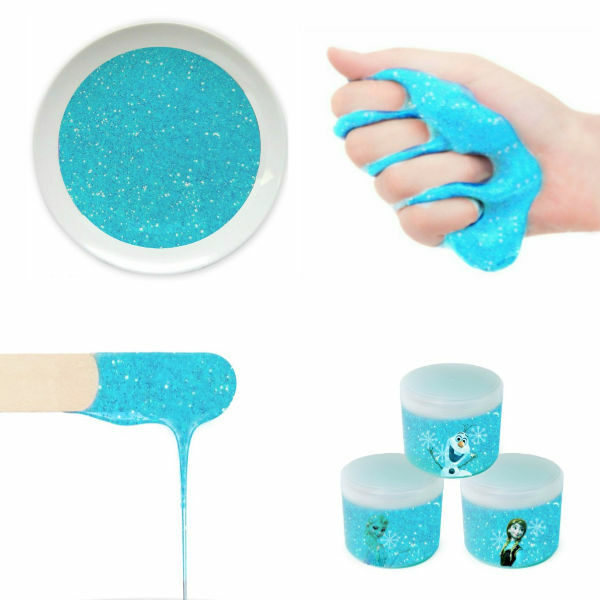 The next day you will have the most glorious, icy cold & sparkly sand. 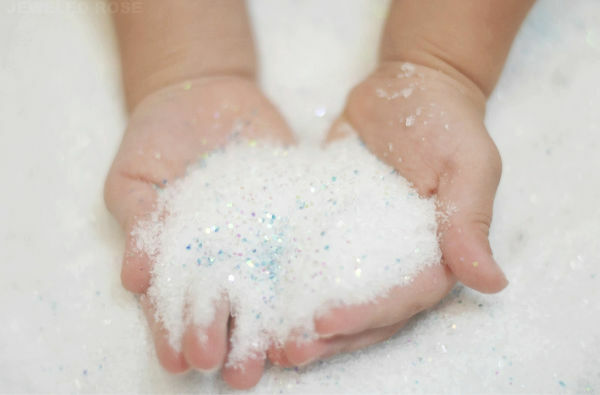 Pour the sand into a sensory bin or container, add glitter and props, and play can begin! 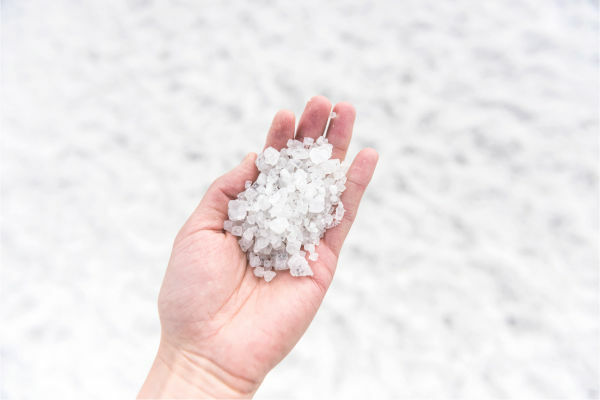 The Epsom salt makes a perfect Frozen sand. The sand feels like grains of ice between little fingers. Each grain shimmers and sparkles with intensity, and yet it feels and acts just like traditional sand from the beach. Rosie and Jewel had lots of fun pretending to be Elsa and Anna while building, scooping, and digging in the icy-cold sand. 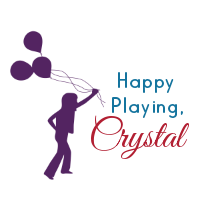 The girls played and played! They pretended to build Olaf. They buried their princesses and then rescued them. And they built icy sand castles that came flowing from the sand buckets like a million diamonds when turned over. Once play time was over I stored the frozen sand in a zip-seal bag and placed it in the freezer for future play. 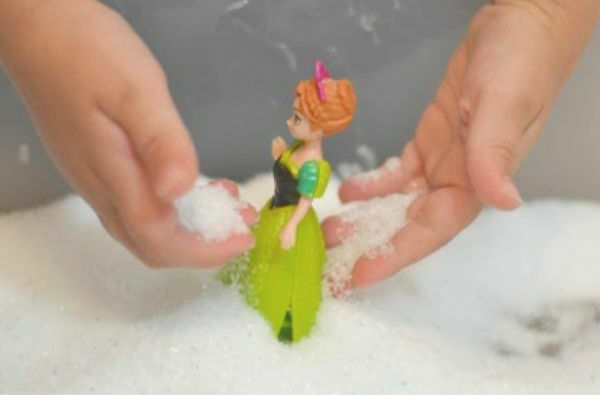 I have pulled this sand out several times since then, and the girls just love it, and I love how easy this activity is to put together! 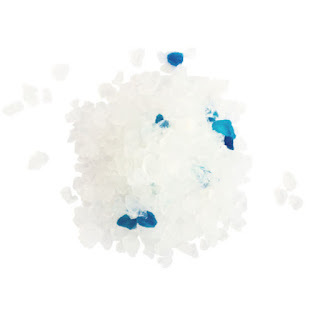 You can get Epsom salt at the dollar store or at most major stores very inexpensively. 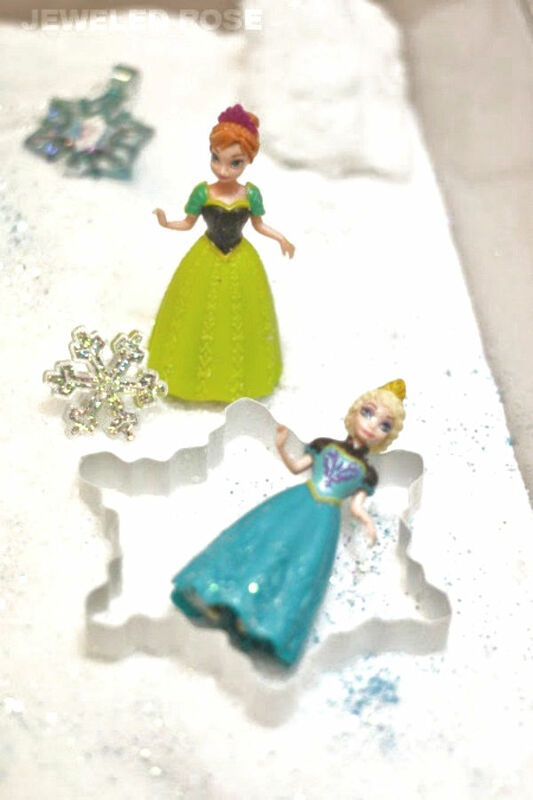 Frozen figurines can be found online here. Some of our salt clumped together during the freezing process (it looked like snowballs) but was easily broken apart as the girls played.